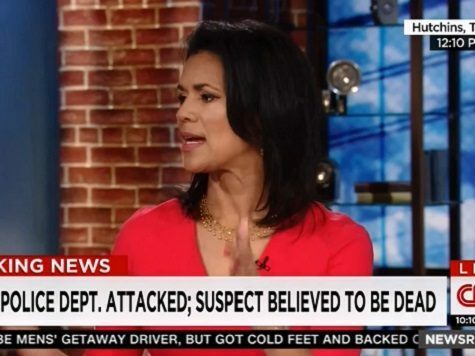 After attempting to float a Narrative trial balloon Saturday that would frame the discussion around Saturday’s would be mass-cop killer in Dallas as someone who is “courageous and brave,” CNN weekend anchor Fredricka Whitfield arrogantly refused to apologize Sunday, and said merely that she had misspoke. “We have voiced our concern that the media’s negative narrative about police officers is jeopardizing our safety. The actions of CNN are proof that our concern has merit,” added Frazier. Under Jeff Zucker, CNN has, for going on two years now, been launching one dishonest, duplicitous hate campaign after another against law enforcement. The pattern is an obvious and intentional one. What Whitfield said is a CNN feature, not a bug. Damn right she’s not sorry.